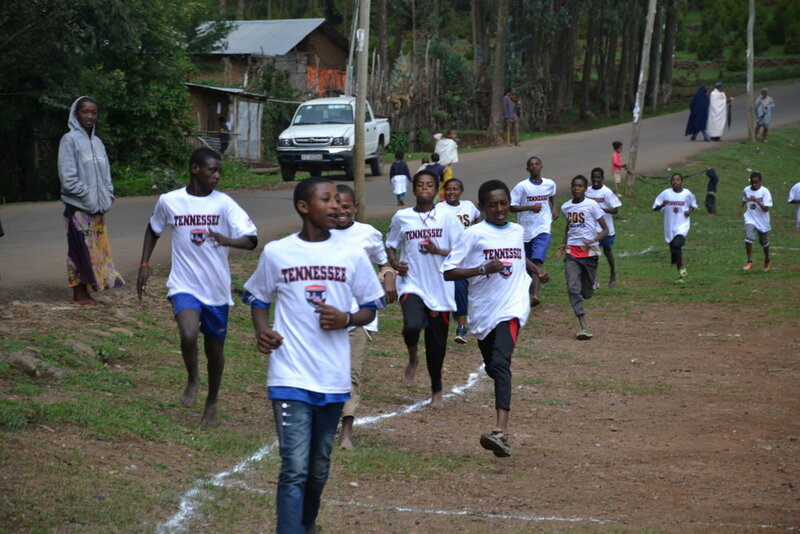 In partnership with the 3rd Annual TFC #RunYourStreet5K (completed June 18-25), The Forsaken Children's Ethiopian Team hosts its annual street race for street children July 16th. Pray for all the details that must come together to prepare and complete the race in Addis Ababa. Pray for the children that will run the race. Pray that they have a beautiful opportunity to be childlike and simply enjoy the fun experience. Pray that they feel significant and loved as the TFC Ethiopian Team cheers them along the course. Pray that the street children who have not yet come to the TFC drop-in center gain an interest in the possibility of life off the streets. Pray for the future of each of the children running - pray for their salvation - that they meet Jesus in a personal way, pray for their families [known or unknown], their education, and the next steps to take. To learn more about why TFC's Ethiopian Team hosts a race in Ethiopia and/or the larger purpose behind TFC's virtual 5K, check out this blog post. 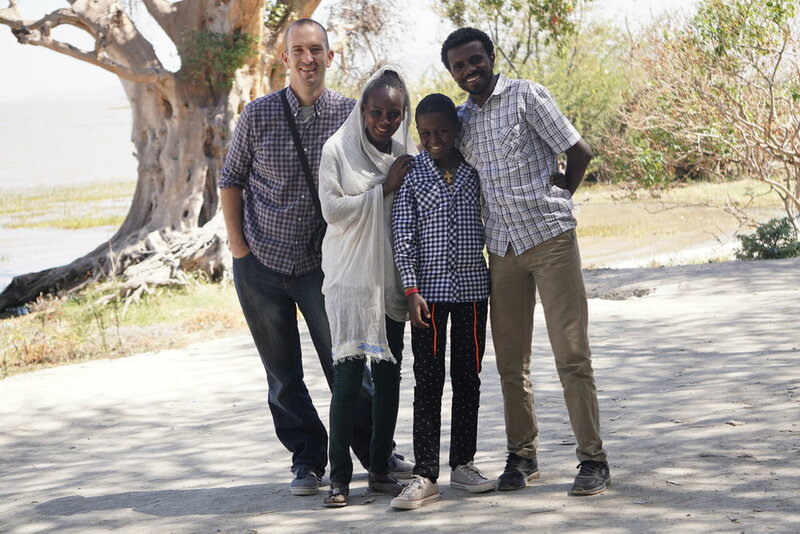 TFC Founder and current Field Director, Joe Bridges and family are in the United States visiting family and friends, following up with their sending missions agency for training, and recharging after a year and half of diligent ministry on the ground in Addis Ababa. Pray for this family. Pray for their time in the United States. Pray for fruitful relationship time with their immediate family and all the people they want and need to see. Pray for rest. Pray for their travels as they go to different locations throughout the United States during their time. Pray for the adorable kiddos, Jack, Mac, and Silas as they transition through their time in the United States. Pray for the upcoming goodbyes [see you laters] this family will have to say to their loved ones at the beginning of August as they make their way back to Ethiopia. Pray for the time Joe is able to spend with The Forsaken Children Board of Directors and staff while in Memphis, TN. Pray that the time would be fruitful and expand beyond the time of the meetings. Pray for God's guidance and provision during these times and determine any and all next steps. Pray for Joe and Karyn's marriage, it's great but when you are doing work that the Lord is leading, the enemy is not happy and will surely attack. Pray for protection against the enemy's attacks and fruitful growth together. Meet Zerihun. He is from a Christian family and is 13 years old. He is a 4th grade student. Zerihun was a street child and part of the most recent group of children invited by The Forsaken Children's Ethiopian team to the TFC Drop-In Center. At that time, Zerihun had stayed on the streets for 1 month. His story is interesting, in that his reason for going to the streets was not due to some of the complicated and, honestly, justified reasons for leaving home. As he told our Ethiopian team, one day Zerihun's aunt told him not to write a letter for a girl. He became upset and went to the streets. He is now with his parents who live near to Addis Ababa [approximately 13km away]. While an easy reunification is a blessing, it is concerning that children are coming to the streets for such petty reasons. Pray for Ethiopia and the children, who step out of their doors to find a seemingly easy escape from their temporal problems at home. "In the same way, the Spirit helps us in our weakness. We do not know what we ought to pray for, but the Spirit himself intercedes for us through wordless groans. And he who searches our hearts knows the mind of the Spirit, because the Spirit intercedes for God’s people in accordance with the will of God." On May 9, our Ethiopian Team welcomed 21 new street kids into the Drop-In Center for the welcome ceremony to the Drop-In Center Program. This is very exciting! The team focused on boys this season under 12 years old who had been on the streets for less than one year and were from the Southern areas of Ethiopia - like most of our staff/team. Please pray for these boys and the Ethiopian Team as they minister to them. Pray that the all the layers for each child unfold in a timely manner and the Holy Spirit moves. Pray for trust and understanding to develop. We are excited to see how this group grows throughout the program and process. Our founder and current Field Director, Joe Bridges and family are traveling to the United States this month for a period of training, meeting, and refreshing. Please pray for safe travels, easy transitions for the children, quality time with family and friends, and productive ministry opportunities. The last year in Ethiopia has been one filled with many obstacles for the Bridges. We are so thankful for God's faithfulness and provision along the way! We are confident that if the enemy has worked so hard to make life difficult at times, God must surely be on the move! Pray that this beautiful family is recharged in the specific ways they need during their time in the United States. 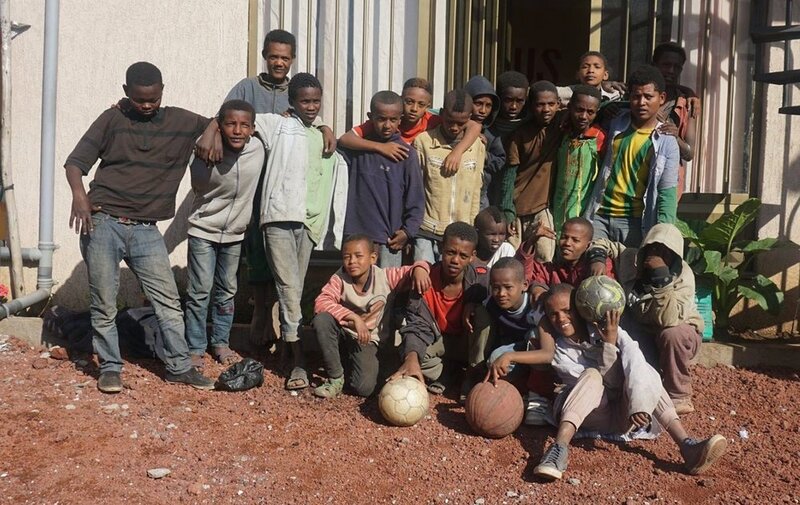 . . that they will be perfectly primed for their return to Ethiopia with divine strength to continue to fight for the street children of Ethiopia and share the Gospel! Registration is open through June 18th for our advocacy and fundraising event, the 3rd Annual Virtual RUN YOUR STREET 5K. As a virtual run, you can run anywhere, anytime, and involve anyone around the world in the fun! Run or walk with the street children of Ethiopia in spirit by completing a 5K (3.1 miles) at your own pace, on your own street, anytime between June 18-25. Vital ministry dollars are raised through this event and it provides an awesome opportunity to spread the word regarding the street children of Ethiopia and The Forsaken Children's role as an organization. Pray that our participant goal of 300 is reached. Most importantly, pray for the street children this event raises funds and awareness for - pray that they might know Jesus and experience LASTING HOPE through Him and be restored to family and school. Specific ways you can pray for The Forsaken Children, Ethiopia, our team, and the children we serve. Pray with us today for this ‪#‎GodSizedGrowth‬ within our team, and for those we serve! March 15, from our Field Director, Joe Bridges "Staff training and planning time today. We are focusing on our direction as a ministry, our alignment with each other as we pursue our goal, and our stability as a team. I love this pic taken as the team debriefs after an activity... it really captures the spirit of the day... unity and joy." Pray for the parents and families of our SAFE Project kids as they navigate the complexities of life within their communities. "How do families keep kids SAFE from life on the street? How can they parent them well through adolescence?" These were some the questions we worked through at a recent conference we hosted for parents. What a great time of sharing, learning and growing! Our SAFE Project works to keep kids off the streets through holistic family ministry... one of the many aspects of our mission to Rescue, Restore, Rebuild. Pray for our Co-Founder and Field Director, Joe Bridges as he works to deepen his language training in ‪Ethiopia‬. It's important to him to be able to fully understand and be fully understood in the native language so that he can better minister to the kids and families we minister to. Amharic, Ethiopia's national language, is not an easy. Pray for patience and diligence in his studies.